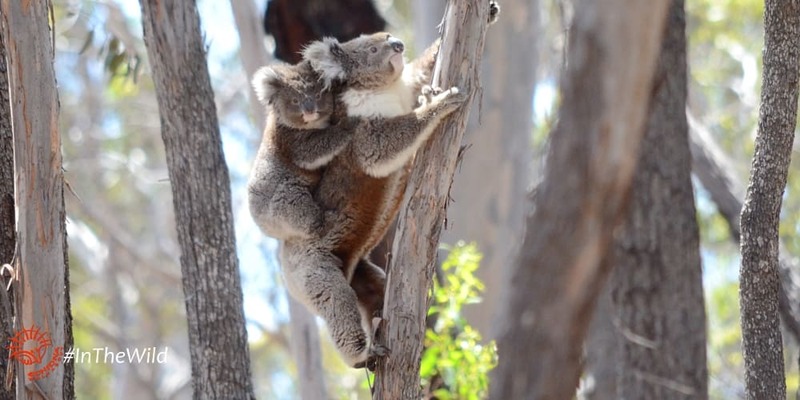 The day a koala joey leaves the pouch, they have to learn to hang on tight. Mother koala spends 99% of her day high in a tree. To get enough gum leaves to feed herself and her baby, she has to climb to the top branches of a new tree every day. She uses all her fingers and toes to climb, so she can’t hold on to a joey. No worries! Joey says. Koala joeys emerge from the pouch with huge hands, strong arms and big curved claws for holding on to mum. It’s a skill they will need throughout life – later they will need to hang on to slippery eucalyptus branches even in the rain. 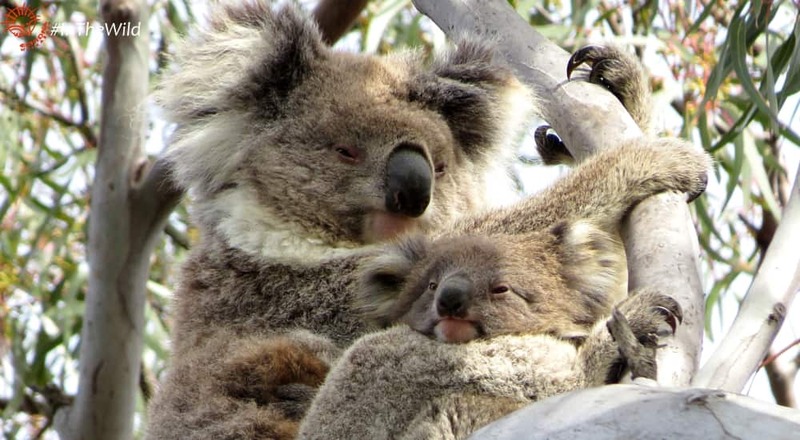 Koala joey clings to mum’s belly at first, and as she gets bigger, rides on her mum’s back. Moving through the branches of a gum tree is like taking an obstacle course. Branches grow at crazy angles, up, down and sideways, crossing over and interlocking. Sometimes the tastiest leaves are high out of reach, or on thin hanging branchlets. Adult koalas negotiate the obstacle course with skill gained from years of practice, but it is much harder with a precious backpack on! Mother koalas are usually very considerate of their tiny joey backpacks. They will often stop at an obstacle and wait for joey to re-position, or even choose a safer route. No worries, that’s nothing! joey says. 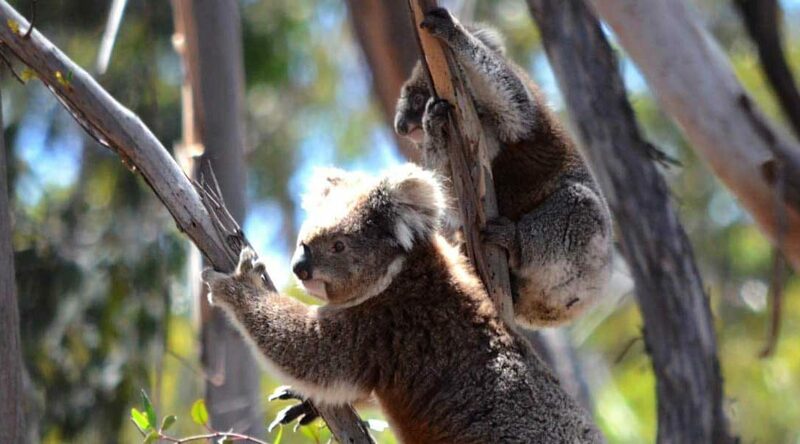 Koala joeys also have to hang on when their mum jumps from branch to branch. Imagine a human child riding piggy back while mum does the long jump! Falling is not an option. In the You Yangs a normal gum-tree is 30metres high. An adult koala would survive with severe bruising, but a tiny joey with little muscle and short fur might die. No worries, joey says. A wild life is exciting.